Are you making 1 of these 4 common CX mistakes? Customers expect a quick, easy, and hassle-free digital journey—but how do you give it to them? 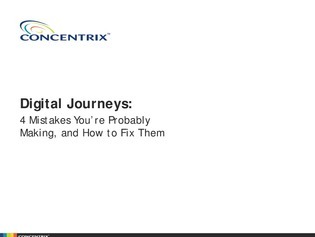 Learn how you can fix the mistakes that lead to digital breakdowns and customer aggravation with informed problem-solving.